When you leave to explore a foreign land, it is best to keep your baggage as light as possible so that you can focus on enjoying your adventure. Generally, it is best to pack one large backpack with just the essentials for the trip, trying not to exceed 50 lbs (23 kg). We often recommend packing an additional day backpack so you can carry around only what you need for a given day. Carrying around a huge backpack all day is exhausting and unnecessary. You will be in the southern hemisphere – which typically means inverse seasons to what you may be used to. Peru is a country with great natural diversity, which means that it is possible to travel from 30*C in the coast and desert to -5*C in the high mountains, in just a few days! It is therefore important to pack according to your intended route within the country. Next, you should consider what type of activities you want to engage in. Obviously, you should bring hiking shoes if you plan on hiking, but it isn’t uncommon to forget the most obvious of things. Which brings us to the most essential tool when planning for your vacation, a checklist. Make a list of all the things that are absolutely mandatory for your travels. Consult the all-powerful internet and glorious Google for information about where you are traveling to. For instance, in a lot of more remote places it will be a very useful to bring a water filter. And hey, isn’t electricity a miracle? Don’t forget to bring a flashlight or a portable charger for your camera so that you won’t miss an incredible sight or shot when you are out in the middle of a jungle or desert. Besides, through the internet, you might also find some friends that have been to the place you are going. Call them up or meet for a coffee and chat about what they wish they had brought. After you have made your list, it is time to commence the packing of everything on that list. If you have extra space in your backpack, great! Either pack in some luxury or sentimental items that remind you of home or keep the space free for all the souvenirs you are bound to purchase on your travels. If your backpack is overflowing that’s okay, just remove whatever you need the least. Especially when embarking on long-term travel, you will be surprised to know how little you actually need. You can’t always pack what you want, but if you try sometimes you can pack what you need (yes, I know that was a bad joke). 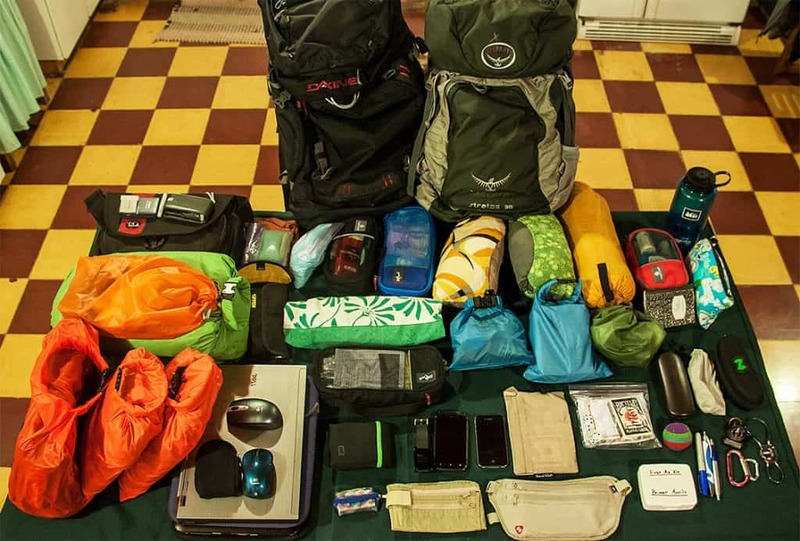 Okay, now let’s discuss the most necessary things to pack for a vacation to Peru (the same list should also be suitable for other South American countries). This list is primarily targetted at travelers who want to backpack and hike the trails and jungles of Peru. • Trekking shoes (If you are planning to do a lot of trekking, you should have shoes that protect you up to the ankle and are waterproof). • Raincoat (recommended) or poncho – light but strong. Pack all of this and you can be confident that you will have everything you need to make the most of your journey to Peru! Everything packed and ready? Then it is time to find the right Tours in Peru for you! Contact us for more information about every tour and individual modifications!